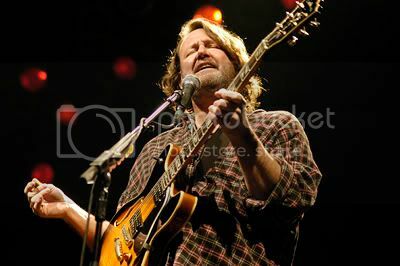 It is time that I bring you another track from Widespread Panic. Not only is Panic one of my favorite bands, but they have several songs about food, eating, etc. Today I bring you a track from their latest release ‘Carbondale 2000’. This is an entire live show from 12/01/00 Southern Illinois University, Carbondale, IL, and the first release from the Widespread Panic Archives. If you want to really understand who Widespread Panic is you need to buy this 3 disc set. It is by far the best thing that they have ever put to CD. I have never been a big fan of the studio albums that Panic has put out over the years, but this live cd really demonstrates the true Widespread Panic experience. The year 2000 was the peak of my Panic addiction. I saw 23 shows that year and had the time of my life. Now I have traded in my taper ticket and lot food for contest entry fees and bbq. It is funny how the two sub-cultures are very similar. Both sub-cultures have a family vibe, loyal followings, and offer tons of fun. Now this is not to say that the two groups would intertwine very well, but there are some similarities. This is not the best track from this show, but how could I not play a song about sausage on a food blog. BBQ IN THE NEWS: Rock the Vote! You fellow Nashvillians may or may not have noticed that The Tennessean , in an apparent effort to fill a void that does not exist, has started their own "Best of Nashville" awards. There are a ton of categories and they are all voted on by the public. Food and drink, of course, comprise a large percentage of the categories. 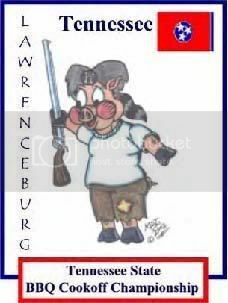 And of course there is a "Best Barbecue" category. If you feel so inclined, get out and vote! Actually, you can just CLICK HERE and vote. 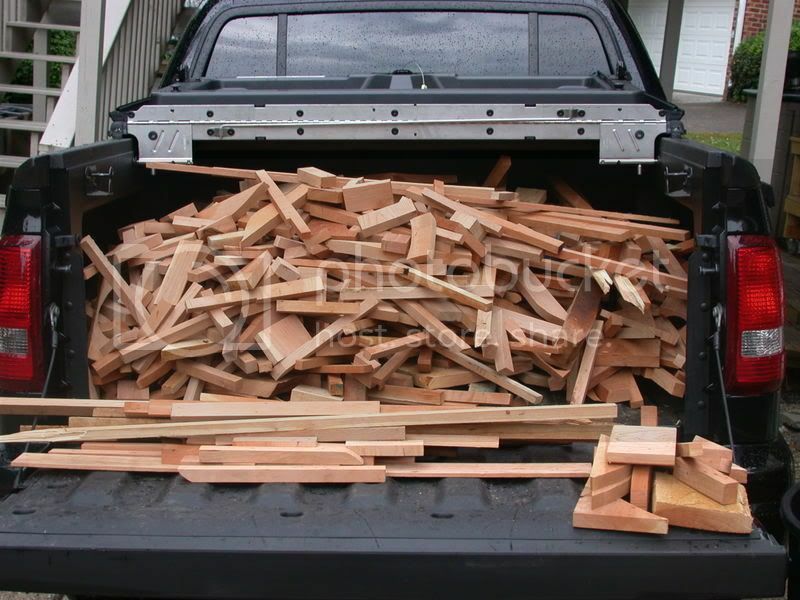 This is a decision that is sure to inspire every bit as much passion and heated debate as the Presidential election this fall, as we tend to take our barbecue pretty seriously around here. You can do like me and vote for Martin's, or you can vote for any of the other fine establishments in Middle Tennessee. Heck, you can even vote for Whitt's. If you don't see your favorite listed, you can write it in. Now get out there, Dear Reader, and remember - vote your hopes, not your fears. My friend Sarah Gilliam recently had an article published in Chile Pepper Magazine. Last year, she was at the Jack and wrote a little story to go along with David Grunfeld's photo essay. 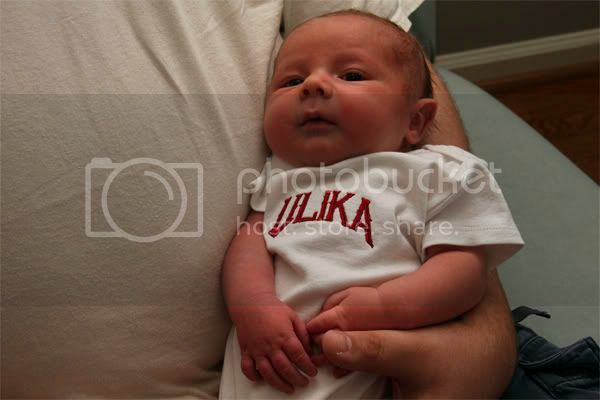 The newest Ulika team member has arrived and we are very excited. John Joseph Marlow was born on June 5th at 12:40 pm and weighed in at 9 pounds and 1 ounce. He may be a few years away from tending the smoker, but he will start out with his own bbq set first. 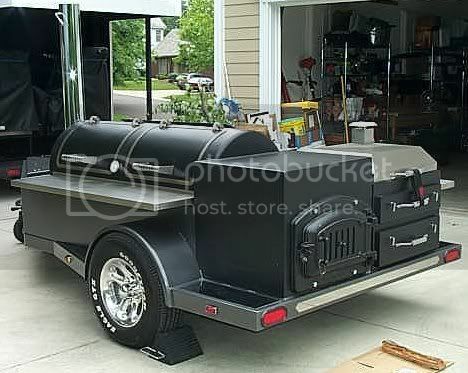 This week, I'll begin introducing him to the art of bbq as we have a "stock the freezer" cook on Tuesday. 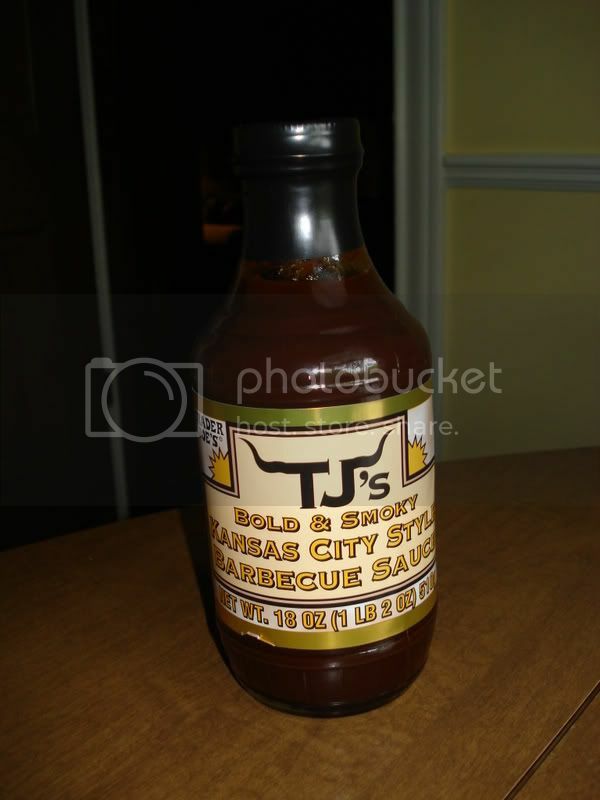 A few weeks ago, we learned that you can't necessarily judge a barbecue sauce by its zip code. That theory will again be put to the test today as we examine a Kansas City style sauce produced by a company in...New Jersey. 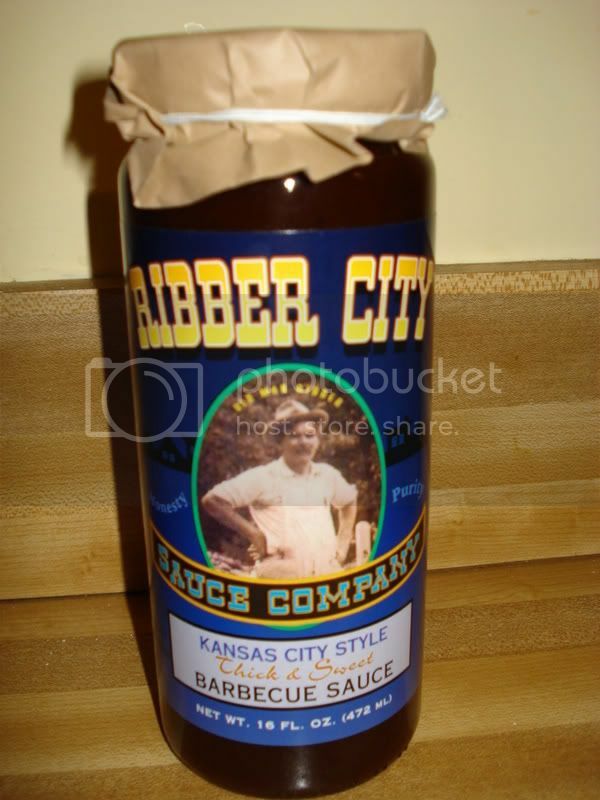 Ribber City Sauce Company has a line of rubs and barbecue sauces as long as the New Jersey Turnpike. 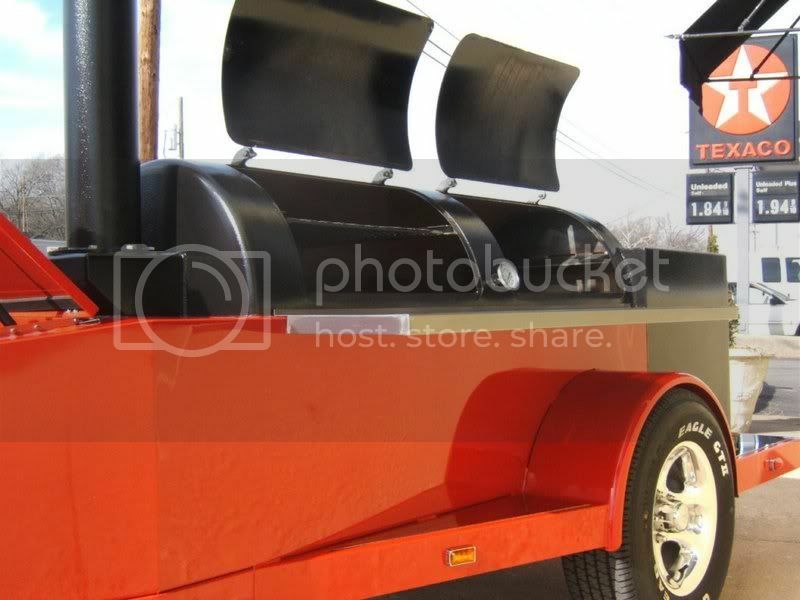 They've got just about all of the major barbecue regions covered - in addition to the Kansas City style sauce, they offer a Memphis style sauce, a Carolina style sauce, a Kentucky style sauce, as well as boutique offerings like a blueberry chipotle barbecue sauce. Each of their products is adorned with a photo of "Old Man Ribber", who I have a feeling is about as real as Aunt Jemima and the Cream of Wheat chef. The sauce itself does have a lot of the characteristics of a traditional Kansas City style sauce - dark in color and thick in consistency. When uncapped, the sauce effuses an exotic, complex aroma that promises exciting flavors. The taste that follows, however, fails to deliver that excitement. There are traces of the rich and smokey, molasses-sweet flavor that they were surely shooting for, but in the end, that's all there are - traces. The resulting taste is bland, and almost watered-down tasting. Very disappointing. If you are in Middle Tennessee, be sure to check out Tennessee Crossroads tomorrow night at 7pm. 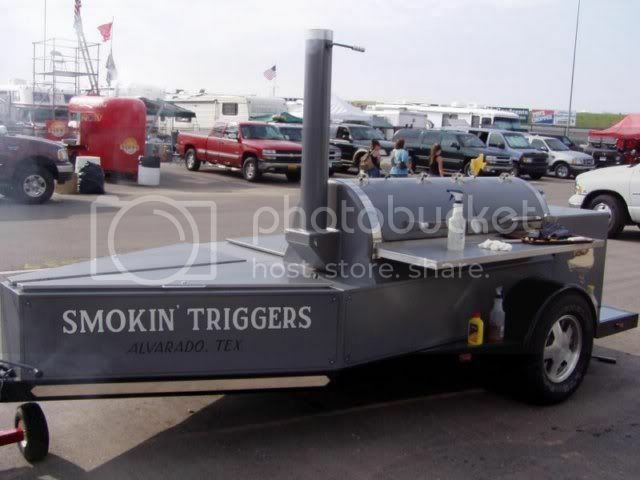 They are running a one hour special on Tennessee BBQ. They go from Memphis to Johnson City and all places in between to show you some unique bbq places and traditions. Should be pretty interesting. 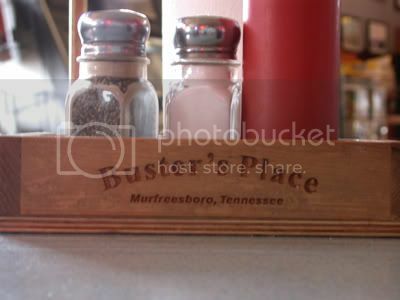 I recently made the quick trip to Murfreesboro, and that meant a stop off at my favorite burger joint, Buster's Place. 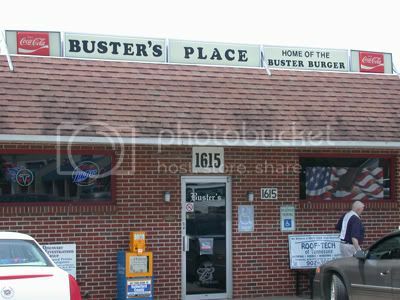 Buster's has been winning best burger awards in Murfreesboro for several years running and is truly an outstanding burger joint. The outside is simple - just a rectangular brick building with a small sign. The "decor" is comprised of mismatched tablecloths, beer bottle chandeliers, mixed patriotic paraphernalia, and an assortment of vinyl banners and neon signs promoting various beers and/or past Nascar events (and then there is that lone print of the Mona Lisa in the corner). But while this low-end beer joint may have a murky design concept, its purpose is clear: they serve outstandingly fresh, made-to-order, hand-patted hamburgers. 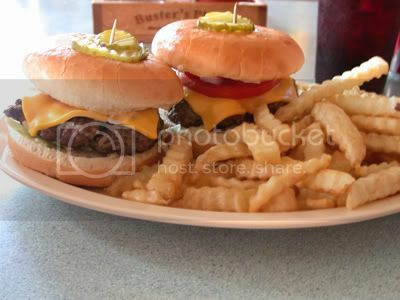 While you have your choice of all the standard toppings, the very minimal menu includes your choice of a hamburger or a cheeseburger with side options of french fries or onion rings. There's nothing jazzy going on here - no gimmicks, no distinctly uncommon flavors or unusual spices, no exotic cheeses or gourmet substitutions - just well-seasoned, perfectly cooked, juicy burgers. 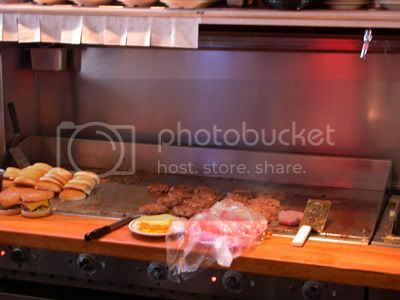 The burgers are served on the same soft beige hard plastic plates that were in your middle school lunchroom and the crinkle-cut french fries are the same ones served in that very lunchroom - warm, salty and mushy inside. I recommend the onion rings. If you're in the 'Boro, this is an excellent (and not very pricey) place to stop for lunch - located at 1615 NW Broad Street.